Got this idea when chatting with friends during lunch long time ago. Finally painted it out. 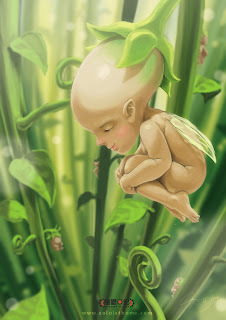 This should be how a fairy born I guess. A friend told me that without the outline will look nicer and so i did it. What do you think?